It’s been more than one year since Conor McGregor won the Ultimate Fighting Championship (UFC) Lightweight title, knocking out Eddie Alvarez at UFC 205. And it hasn’t been defended since. But he spent the majority of 2017 engaged in negotiations and then eventually a super fight boxing match against Floyd Mayweather. Tony Ferguson is the interim titleholder who is waiting for McGregor while he’s off seeing all of his nearly infinite options. Even El Cucuy mentioned numerous times that he believes Conor Mcgregor should defend or vacate the title. Recently Poirier expressed his interest in a rematch with Eddie Alvarez who just defeated Justin Gaethje. Unfortunately, Eddie isn’t interested in taking a step backward because Alvarez has his eyes on bigger and better things. Dustin is pushing the UFC to strip McGregor to release the floodgates as much as he wants to fight Alvarez again. 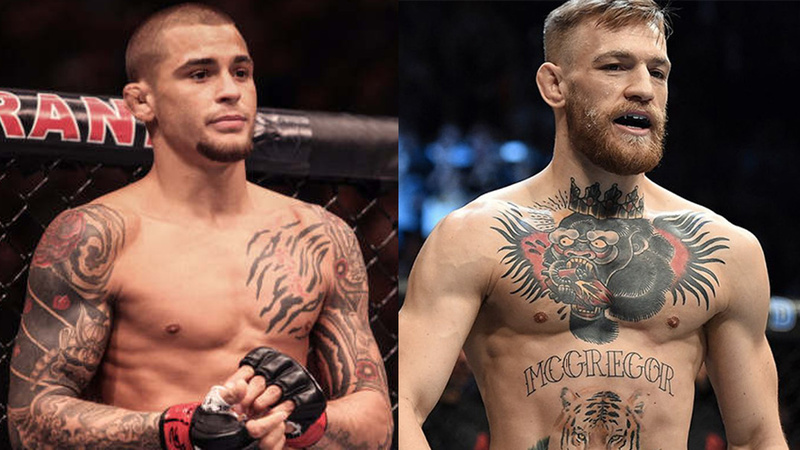 Dustin Poirier was speaking to MMAWeekly recently. My efforts are being supported by the universe; my dreams manifest into reality before my eyes. Poirier feels like it’s only justified to take the title away from him considering it’s been well over a year since he won the belt and he still hasn’t defended it. Dustin Poirier has always been an active fighter, and he hopes to stay that way in 2018 with his eyesight set on a UFC championship by the end of the year.